The Gujarat government may take pride in organizing Rannotsav, or festival of deserts, in the Rann of Kutch and for giving best of hospitality to the visitors coming from across the world. However, facts have come to light suggesting that it has failed to set up a mechanism which can ensure regular drinking water supply to the nomadic tribes residing inside the Rann. Virtually no effort has been done to survey the Little Rann of Kutch to find out if there is any drinking water source in the area. An official document characterizes it as “survey number zero”. 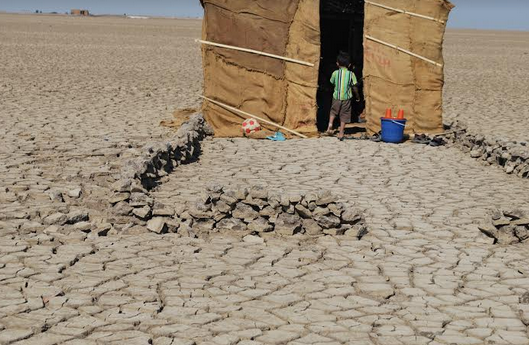 However, those who are familiar with the Rann say, the grounwater salinity level in the saline desert is five to six times higher than sea water. Not without reason, every year around 10,000 to 12,000 agariya (salt producing) families from around 250 villages of Surendrnagar, Patan, Morbi, and Kutch districts migrate to the Little Rann of Kutch to harvest salt, which is their sole source of living. 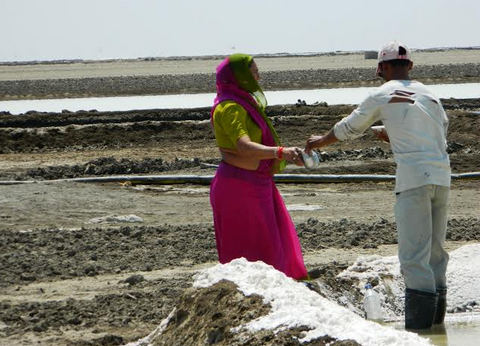 Agariyas work hard in scorching heat for eight months to farm salt. They have made no demand for loan packages for salt making, like industrialists, who sign up memorandums of understanding (MoUs) with the government at Vibrant Gujarat business summits. In fact, they have not even expected the government to provide them with any road or transport facility. All that they expect from the government is to send a tanker of drinking water for at least once a week. But the state government, which spends crores on investment summit festivals involving indusrialists, says there is no budget provision for supplying drinking water to them. To a recent query, the Radhanpur circle office of the water supply department, situated just outside the borders of the Rann, informed the agariyas that their office does not have “enough funds” for supplying fresh water to the neighbouring agariyas working in the Santalpur region of Rann. Hence, they were told, it could not supply drinking water supply to them – something they were doing three years ago. On further inquiry, they were informed that the Industries Commissioner's Office of the Gujarat government has not sanctioned budget for supplying drinking water to the agariyas. 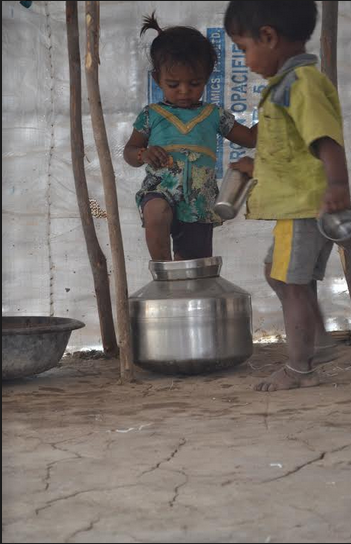 For the last three years, 1,100 agariya families of the region spend Rs 9,600 per season per family to get drinking water from private water suppliers. The total expense incurred by the poor agariyas for purchasing drinking water comes to a whopping Rs 3.16 crore! 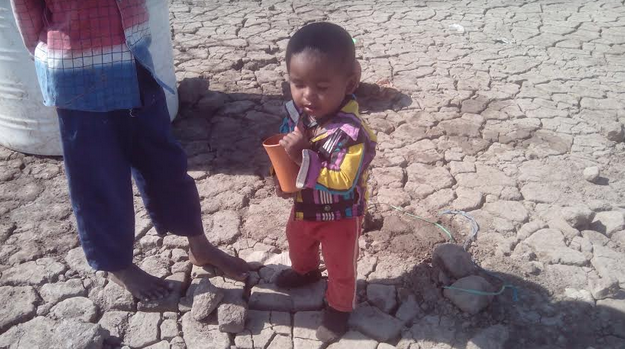 “Supplying water to the Rann areas is not the responsibility of the water supply department. We need extra budget for the Rann. Lack of funds forced us to stop water supply,” said an official of the state water supply department. On the other hand, a state industries department official argued that water supply is the primarily responsibility of the respective department, and it can “only partially support” the agariyas in this respect. The Agariya Heet Rakshak Manch (AHRM) has made several representations to the district and state officials, asking them to make a comprehensive scheme and share expenses, if required, so that drinking water is supplied to the Rann. Agreeing to the AHRM suggestion, the water supply and industries departments have agreed in principle to share expenses on a 60:40 basis to supply drinking water.